"Mark Eckert is a full-time Producer & Drummer currently residing in Uptown Charlotte. His influences include sounds from Passion Pit, Lorde, Broods, Chvrches, Bleachers, and Tears for Fears among many others. He grew up under the teachings of his Juilliard-trained mother and inventor/engineer Father. After studying Production & Drumming at Berklee College of Music, he began specializing stylistically in Indie Pop Music jumping between (primarily) NYC and his home city of Charlotte. He has worked and/or collaborated with touring members of Lady Gaga, Prince, Usher, JoJo, Robin Thicke, Fantasia, Tamia, Anthony Hamilton & Natasha Beddingfield. He has also worked with Kiowa Gordon of Sundance Films (The Twilight Saga), as well as finalists on NBC’s The Voice, FOX’s X-FACTOR and both beginning and accomplished artists in 13 Countries. Mark is an accomplished Drummer & MD available for Tour, Fly-Dates and Studio Work. Since being contracted at the age of 15 to play in multiple commercial studios as a Session Drummer in Charlotte, Mark has since traveled as far as LA and NYC (in the States) and as far as Australia & Fiji globally for session work. Notably, Phoenix, Arizona to play on a single for Actor Kiowa Gordon (“Embry Call” – The Twilight Saga: New Moon). He has since studied at The Berklee College of Music, training under the tutelage of modern greats such as; Sergio Bellotti, Jonny Rabb, JP Bouvet, Yoron Israel and Donnie Marshall, along with many others. Mark is influenced by many styles, including (but not limited to) 80’s Synth-Driven hard hitting Kick & Snare beats, New Wave, huge synthetic toms, and deep, authentic, pocket-funk. Eckert ultimately attempts to merge the “80’s sound” in the much-recycled world of today’s pop-music. Mark’s signature style brings together a mix of Acoustic, electronic sample mediums, nostalgic leads, and pocket beats. In a live aspect, Mark has acted as Music Director for a number of indie pop artists both nationally & globally. This includes directing backing musicians while running an Ableton Rig with backing tracks, SPD-SX triggers, and customizable light shows. Recent notable shows & productions include tour in Australia with Melbourne based artist ALLOLA with a follow-up 10 Song record. In only the past 2 years, Mark has toured to Australia, Fiji, Italy, Ireland, as well as many US states for production & tour with various artists. He has taught Master Classes at Hayes School of Music at ASU, guest spoke for Dark Label, and consulted Charlotte Center City Partners on a government-backed initiative to support the music industry in Charlotte. 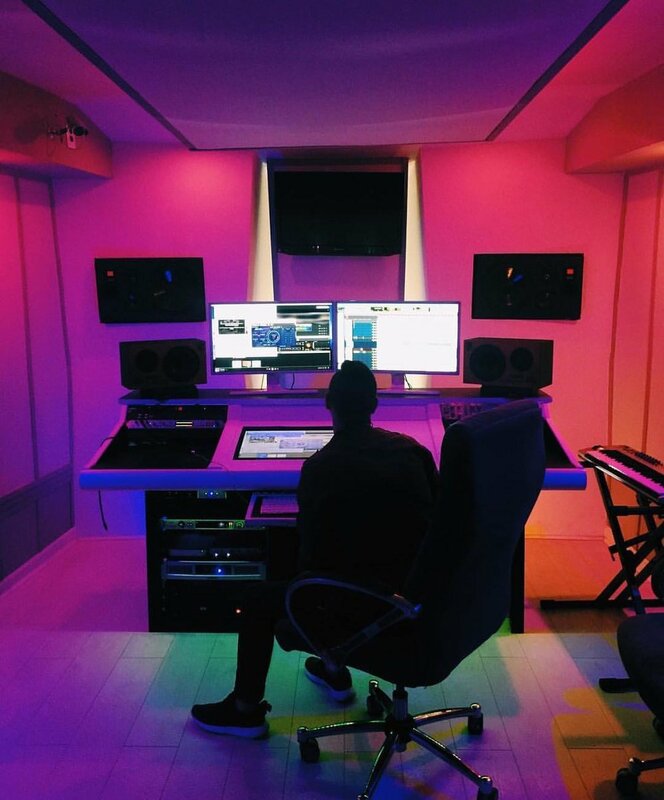 Additionally, artists have flown across the globe to work with Mark in person at his studio for production and writing. In 2018 Mark founded both THAT NINETIES KID Music Publishing giving artists he produces representation for Sync Licensing, along with THAT PITCH, giving anyone representation and opportunity for Sync Licensing. Mark endorses and trusts Novation controllers for both studio & live settings, LANDR for mastering and digital distribution, THAT NINETIES KID for licensing works in the USA, and North Note for licensing works internationally.